Join a Nationally Recognized Team! 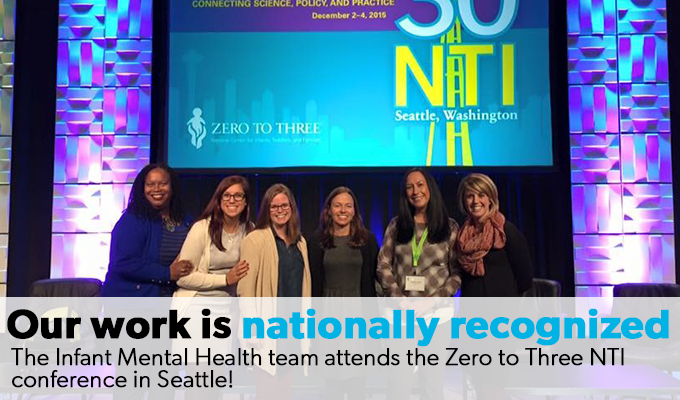 Starfish’s early childhood clinical and education teams took a trip to the National Zero to Three Training Institute’s (NTI) annual conference, in 2015. NTI hosts presenters, researchers, academics and 0-3 staff from across the country each year with topics that focus on early childhood learning, brain development, relationships, research and best practice intervention. The Starfish clinical team presented poster sessions on mental health interventions with parents and infants as well as an internal collaborative research project on the use of reflective supervision with our mental health and early childhood education teams.